Atrial Fibrillation is becoming a twenty-first century epidemic. It remains the most common form of sustained arrhythmia with significant mortality, morbidity and cost to the health care system. It is the most common cause of hospital admissions among all arrhythmias. Its prevalence increases with the aging population and is often associated with many other cardiac and noncardiac conditions, most notably congestive heart failure, hypertension, diabetes, and coronary artery disease. Although significant progress in understanding the epidemiology, natural history and mechanism has been made, the antiarrhythmic therapy in patients with Atrial Fibrillation is less satisfactory. 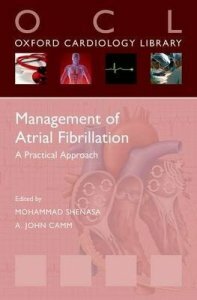 Management of Atrial Fibrillation: A Practical Approach is the perfect pocket guide for those who care for patients afflicted by Atrial Fibrillation. From the history of the condition and the subsets of patients, to therapeutic and preventive procedures, Management of Atrial Fibrillation comprehensively covers all aspects in managing this increasingly prevalent disorder. Written by leading authorities in the field with vast experience in practical medicine, the book creates a clinically orientated, evidence based "fast fact" type resource for cardiologists, trainees and related healthcare professionals. 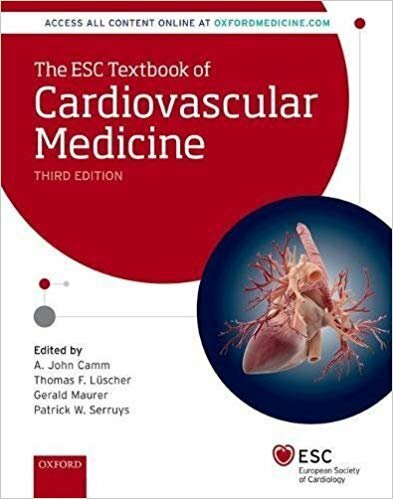 This new, third edition of The ESC Textbook of Cardiovascular Medicine is a ground-breaking initiative from the European Society of Cardiology that transforms reference publishing in cardiovascular medicine to better serve the changing needs of the global cardiology community. Providing the background information behind clinical practice and the ESC Clinical Practice Guidelines, this publication is an invaluable resource for cardiologists across the world. 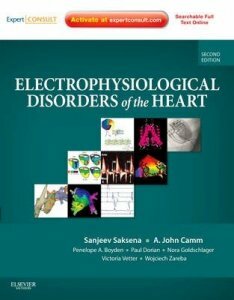 The new edition of "Electrophysiological Disorders of the Heart" helps you diagnose and treat a full range of heart rhythm disorders using today's latest technologies and therapies. It provides practical, hands-on coverage of hot topics such as pediatric EP, imaging, echocardiography-guided EP procedures, regenerative therapies, cardiac pacing, and more. Now available in a new full-color format, the title also includes easy online access. Evidence based Cardiology was first published in 1998 to universal acclaim. Now, with the move towards more patient focused health care and at the same time increased emphasis on health economics, evidence-based practice is a more important force in health care delivery than ever. 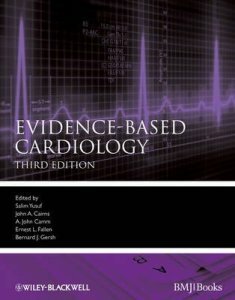 This new third edition, written by the world's leading cardiologists, provides graded evidence-based reviews of the major trials together with recommendations for optimum management, and now includes new grading and recommendation methodology. 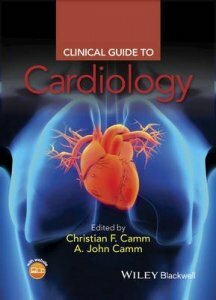 This is a unique book in the field of cardiology, and the largest evidence based clinical cardiology text. Two well-known and respected editors have assembled an outstanding group of electrophysiologists/physicians to write a major work representing the field of electrocardiography as we know it today. 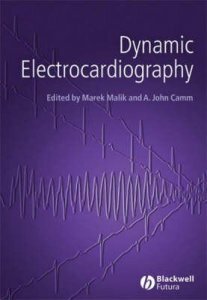 This book contains all the major subject areas within the field of electrocardiography with significant clinical and basic content to appeal to the entire electrophysiology community in addition to educating cardiologists with the latest information. The fact that Drs. Malik and Camm have edited this work assures a volume of incredible quality and readability. Electrocardiography is an essential tool in diagnosing cardiac disorders. 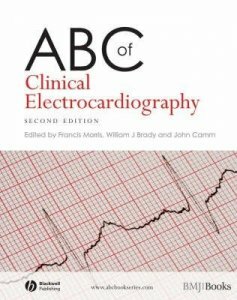 This second edition of the ABC of Clinical Electrocardiography allows readers to become familiar with the wide range of patterns seen in the electrocardiogram in clinical practice and covers the fundamentals of ECG interpretation and analysis. Fully revised and updated, this edition includes a self-assessment section to aid revision and check comprehension, clear anatomical diagrams to illustrate key points and a larger format to show 12-lead ECGs clearly and without truncation. Edited and written by leading experts, the ABC of Clinical Electrocardiography is a valuable text for anyone managing patients with heart disorders, both in general practice and in hospitals. Junior doctors and nurses, especially those working in cardiology and emergency departments, as well as medical students, will find this a vaulable introduction to the understanding of this key clinical tool.